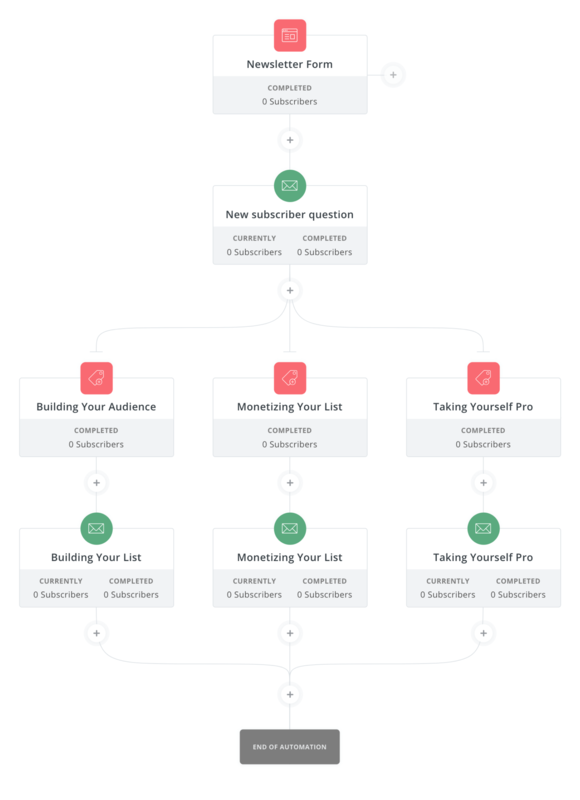 You've put in a lot of hours writing emails for Sequences, setting up Forms to capture leads, and tagging subscribers so you can better understand their interests. Those are all great individually, but imagine how powerful it would be to automate the path a subscriber takes! When set correctly, automations will free you from menial tasks, so you can continue doing great work. The following is our guide to the options you have for automation in ConvertKit. That blank canvas is begging to have some content, so let's get started with Visual Automations. Think of a Visual Automation as a map. When a subscriber signs up, where do they start? Should they be sent different sequences based on their interests? These are all great questions to get your automations started. 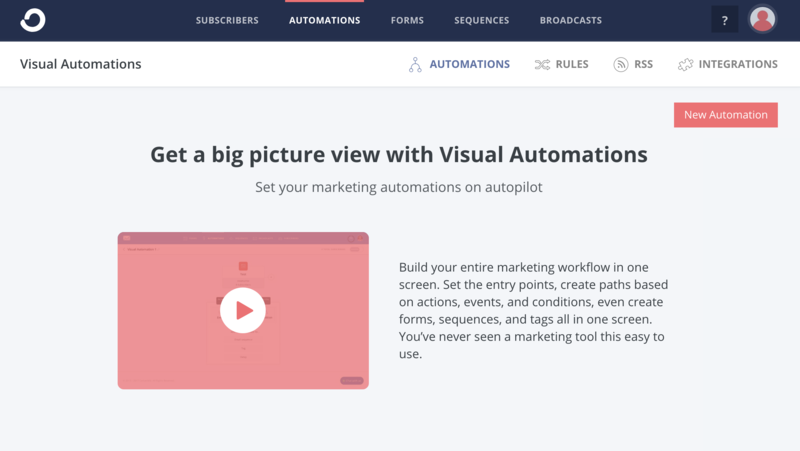 The guide below will walk you through setting up your first visual automation! The next tab is Rules. An Automation rule uses "If This Then That" logic. You set up a trigger, such as "clicks a link" or "makes a purchase," and an action, such as "add a tag" or "add to a Sequence." Adding subscribers to a tag, sequence, etc. when a link is clicked. Removing subscribers from a sequence after a specific action is taken. 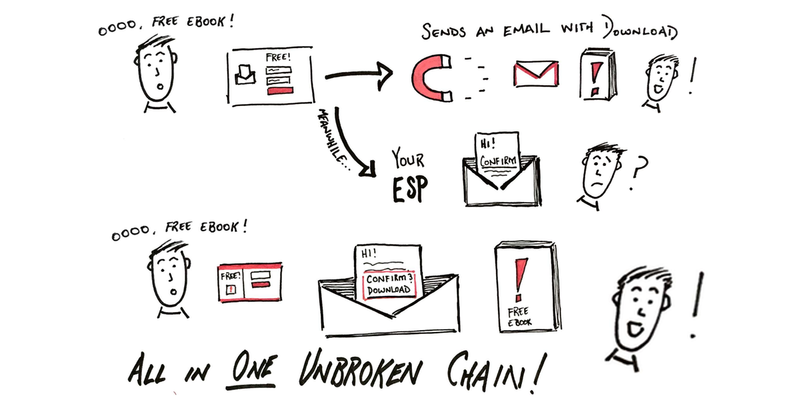 Creating a custom unsubscribe link for your email template. Add subscribers to a form automatically. To see more about setting up automation rules, check out the guide below. RSS Feeds are the third tab on the automations page. This is where you can feed your blog posts directly into Broadcasts. Just connect your site's RSS feed and you're read to go! The last tab under Automations, is our internal Integrations page, which has instructions for connecting to some of our most popular integrations. For a complete list of integrations and instructions, you can also visit our Integrations page! "Should I use visual automations or automation rules? What's the difference?" Automation rules were our original solution to automation but we've since developed visual automations to make creating automations even easier! While most things can be done in visual automations, there are still a few things only rules can do (most of which are listed above). If you're deciding between the two, we'd recommend using visual automations whenever possible. "If I create an Automation rule, will it affect subscribers that have already met the trigger?" Automation rules don't apply retroactively, they will only apply to triggers going forward. "Why isn't my commerce integration showing up under purchases?" We have a brand new Purchases feature, with several Ecommerce integrations! You can find those here. All other purchase integrations will be handled through their own app, or with Zapier. "Can I send an RSS Broadcast automatically?" You sure can! Follow these instructions to set up RSS.